Per the EPA, the air quality inside your home can be much worse than the air present outside. Dust, pollen, dirt and debris, other contaminants, mold, and pet hair are some of the factors that can downgrade the air quality of your home or business. The HVAC of your property recirculates the air inside it. This recirculated air is carried through ductwork located throughout your home or business. Over time, this ductwork can collect many allergens that can make you and your family sick. Effective air duct cleaning reduces dusting, improves indoor air quality, saves energy and money, and extends the life of your heating and cooling equipment but most if all improves the indoor air quality of your home. We at Complete Restoration, pride ourselves in being experts and professionals when it comes to keeping the air in your home healthy and pollution-free. We employ a team of highly skilled technicians and specialists who make sure to give you 100% excellent quality service at all times. 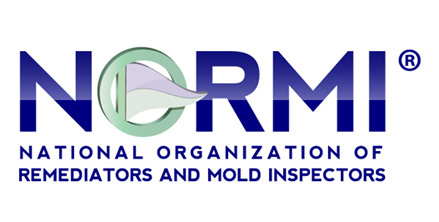 We are experts in cleaning water damage mitigation losses, mold remediation as well as air ducts whether it is for residential or commercial purposes. We are prompt, efficient and we pay extra attention to details, using powerful state of the art technology, EPA approved solutions and HEPA filtration technology. Many homeowners call us to take care of the allergy and dust problems in their homes. We provide a complete on-site cleaning service for households, schools, offices, shops and more. We make sure that all the vents and air ducts in your home are thoroughly cleaned and we never leave a mess. Our trained technicians use special cleaning techniques to ensure that vents are properly cleaned. We take the vents apart then clean the fans and registers as well as all other parts that can be accessed. We also use high technology tools for accessing the insides of the vent. When we find that hand vacuuming of the ductwork is required, we make use of special tools driven by a compressor, which whips air into the ductwork to remove all the dirt. When we find evidence of mold in the plastic or in the metal ductwork, we use an EPA approved sanitizer to clean it out. Living in a home that is free of dust and pollution will help make sure that your family only breathes in fresh clean air 100% of the time. When you make an inquiry with our company we give you a solid quote even before the service begins so that you are assured of zero “surprises”. We never charge you with an over-time fee because we charge by the job and not by the hour. Our duct company specializes in professional commercial and residential air duct cleaning, repair, replacement and installation services for both HVAC and Air Duct Systems. Eco Green HVAC and Duct Cleaning technicians are highly experienced and ready to help you with indoor air quality and heating and Eco Green utilizes green cleaning methods and helps property owners upgrade to energy efficient heating and cooling, resulting in cost savings on utility bills.